Simple request, pretty obvious as titled. Yes I'm and idiot, yes I flip my tank on my side when playing light tanks and even medium tanks sometimes, especially with the twilight zone sections of maps that lurk in wait for any fast moving tank and turn them on their side. All I would ask is for an F key to feature "pls help, I flipped my tank". Such a big deal? not at all. If it's gonna be the F key, I'd love a feature to press it and pay respects to a fallen drunken comrade. It's a matter of language, don't you think? It would be nice if everybody spoke English but this will never happen. Also, the commands are accompanied by a visual. Reading it is also very hard, especially if you've turned off chat. I mean like, very very hard, you know. I don't see any issue if they were to include this, it'd be more useful these days than the current "attack" or "defend" options. If WG don't include it then it should be easy enough to mod the preset scripts for these keys anyway for someone that knows about such things. You've got a 'Help' button already. If people are ignoring that then it's not going make a difference if WG give you a second option for them to ignore. 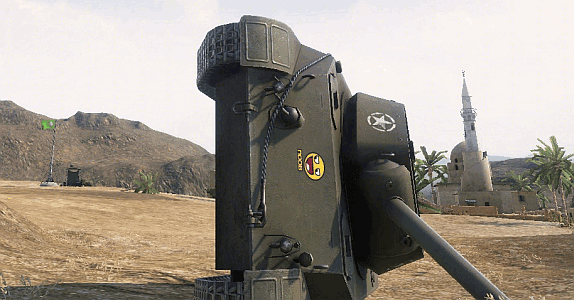 XVM used to have (maybe still do) an in game icon which showed when a tank was on its side, (it was a yellow arrow) but lately I haven't seen it, maybe it has been removed? Recently I played a Frontline battle and unfortunately fell onto my side, right at the start of the battle, and a t-44 drove almost right past me, I think it was the C base, wehere there is that bridge to get across to the hill overlooking the cap circle, not wanting to leave the battle, I tried in vain for at least 5-6 minutes to get the attention of team members, and even though several off them returned to the repair point just a few hundred meters away, it finally took a Blue player who drove back a long long way to help me. So, typing, pinging the map doesn't mean someone will help you, but a constant ICON or map symbol to show your predicament might, with the language barrier between EU nations etc. I am impressed it's not a whine thread. I very much second that proposal. with our important tank and could not help the team win because nobody noticed. Edited by Pansenmann, 23 February 2019 - 10:38 AM. Pansen, you play better when you are on your side. Request denied. 'attack' key with an 'I've flipped my tank' message would be a good move. That & it'd also notify those with chat turned off unlike typing a msg. At the end of the day what'd be the harm anyway? Go Esc -> Return to Garage. The problem is not that people do not know that you are on your side. The problem is they don't care most of the time. When they do care they come to help you as soon as they notice your predicament or typing it in a message will get their attention. We better have a button that says ' I have chat turned off' as well then do you not think? what if you are on your roof and its really urgent? a better option would be an indicator on the map that shows a clear icoon above the tank showing its flipped. If someone does not see it then they wont see your message iether most likely. That, I can agree with. F is already used for auto reverse, rarely used feature, but still no need to remap it.